Policies addressing limitations of medical therapy in patients with advanced medical conditions are typically referred to as Code Status (No Code) policies or Do-Not-Resuscitate (DNR) status polices. Inconsistencies in implementation, understanding, decision-making, communication and management of No Code or DNR orders have led to delivery of poorer care to some patients. Several experts have called for a change in the current approach. The new approach, Goals of Care paradigm, aims to contextualize the decisions about resuscitation and advanced life support within the overall plan of care, focusing on choices of treatments to be given rather than specifically on treatments not to be given. Adopting “Goals of Care” paradigm is a big step forward on the journey for optimizing the care for patients with advanced medical conditions; a journey that requires collaborative approach and is of high importance for patients, community and healthcare systems. Islamic civilization between the 7th and the 15th centuries made great contributions to the development of science and medicine, and discoveries made during this time formed the basis for the emergence of the European Renaissance. Muslims view sleep as one of the great signs of Allāh, and a number of Muslim scholars studied and wrote on sleep and dreams. However, Muslim scholars' contributions to this topic have not been adequately represented in modern scholarship. Islamic scholars did far more than simply act as the preservers of the antiquity and Greek knowledge, but rather laid significant foundation, translation, interpretation, and transference of knowledge and experience, and have contributed original works in many fields of science and medicine including sleep. This brief article introduces some of the writings by Muslim scholars and philosophers about the importance of sleep, some sleep disorders, and dreams. 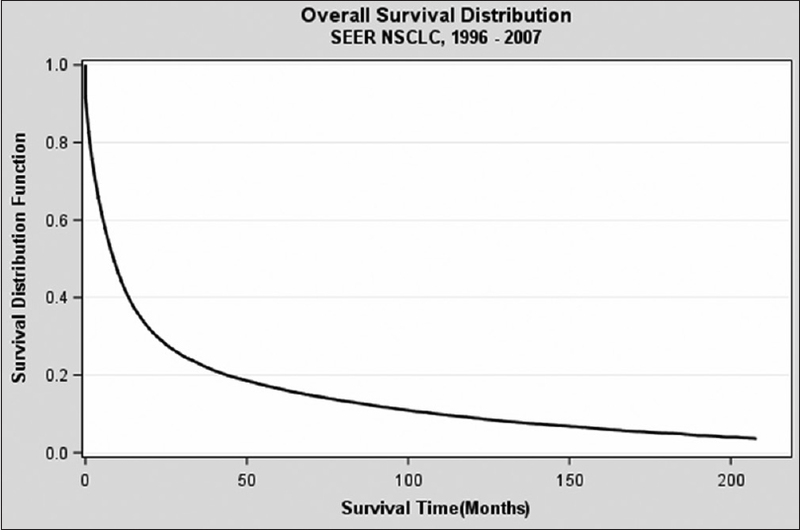 INTRODUCTION: Survival from lung cancer is improving. There are limited data on the causes of death in 5-year survivors of lung cancer. The aim of this study is to explore the causes of death in long-term survivors of non-small cell lung cancer (NSCLC) and describe the odds of dying from causes other than lung cancer in this patient population. METHODS: An analysis of 5-year survivors of newly diagnosed NSCLC from 1996 to 2007, in Metropolitan Detroit included in Surveillance, Epidemiology, and End Results program, was done. RESULTS: Of 23,059 patients identified, 3789 (16.43%) patients were alive at 5-year period (long-term survivors) and 1897 (50.06%) patients died in the later follow-up period (median 88 months; range 1–219 months). The causes of death besides lung cancer were observed in 55.2% of these patients. The most common causes of death were cardiovascular diseases (CVDs) (16%), chronic obstructive pulmonary diseases (11%), and other malignancies (8%). Patients older than 65 years, males, and those who underwent surgery for treatment of lung cancer faced a greater likelihood of death by other causes as compared to lung cancer (OR: 1.45, 95% confidence interval [CI]: 1.18–1.77; OR: 1.24, 95% CI: 1.02–1.51; and OR: 1.39, 95% CI: 1.06–1.82, respectively) CONCLUSIONS: Five-year survivors of NSCLC more commonly die from causes such as CVDs, lung diseases, and other malignancies. Aggressive preventive and therapeutic measures of these diseases may further improve the outcome in this patient population. OBJECTIVES: Aspiration of foreign bodies into the tracheobronchial tree is a common accident in children. This study aimed to evaluate the safety and outcome of foreign body removal by flexible bronchoscopy using a retrieval basket in children. METHODS: This was a retrospective study of children treated for foreign bodies in the airway via flexible bronchoscopy using a retrieval basket at a tertiary hospital in Korea between February 2014 and October 2017. The medical records of the patients were retrospectively reviewed and analyzed. RESULTS: A total of 20 children underwent foreign body removal from the airway via flexible bronchoscopy using a retrieval basket. The median age of the patients was 16 (range, 10–21.5) months, and 12 (60%) were male. Foreign bodies removed included 16 (80%) organic items including peanuts, almond, and beans, and 4 (20%) inorganic items including a plastic bag, metal screw, spring, and Lego brick. The locations of the foreign bodies included the central airway (n = 5; trachea, n = 4; subglottic area, n = 1), right bronchial tree (n = 9), and left bronchial tree (n = 6). Successful removal was observed in 18 (90%) cases. The only complication that occurred was mild laryngeal edema (n = 2) after the procedure; both improved with corticosteroid administration. CONCLUSION: Flexible bronchoscopic extraction of a foreign body in the airway using a retrieval basket in children can be performed successfully with minimal complications. INTRODUCTION: Treatment-emergent central sleep apnea (TECSA) is observed in some patients when they are treated with positive airway pressure (PAP) after significant resolution of the preexisting obstructive events in patients with obstructive sleep apnea. The objective of this study was to systematically review the literature for studies describing the natural history of TECSA. METHODS: PubMed, Medline, Scopus, Web of Science, and Cochran Library databases were searched through June 29, 2017. RESULTS: Five studies were identified that discussed the natural history of TECSA. TECSA developed in 3.5%–19.8% of PAP-treated patients. Treatment-persistent central sleep apnea (TPCSA), representing protracted periods of PAP therapy-related central apneas, was noted in 14.3%–46.2% of patients with TECSA. Delayed-TECSA (D-TECSA) represents an anomalous TECSA entity appearing weeks to months after initial PAP therapy. D-TECSA was observed in 0.7%–4.2% of OSA patients undergoing PAP treatment (after at least 1 month). In patients with TECSA, a higher apnea–hypopnea index (AHI) and central apnea index at their baseline study or a higher residual AHI at their titration study may be associated with an increased likelihood of conversion to TPCSA. CONCLUSIONS: Overall, TECSA developed in 3.5%–19.8% of PAP-treated patients with OSA. The vast majority will experience complete resolution of central apneas over a few weeks to months. Unfortunately, about a third of patients with TECSA may continue to exhibit persistence of central sleep apnea on reevaluation. A small proportion may experience D-TECSA after few weeks to several months of initial exposure to PAP therapy. 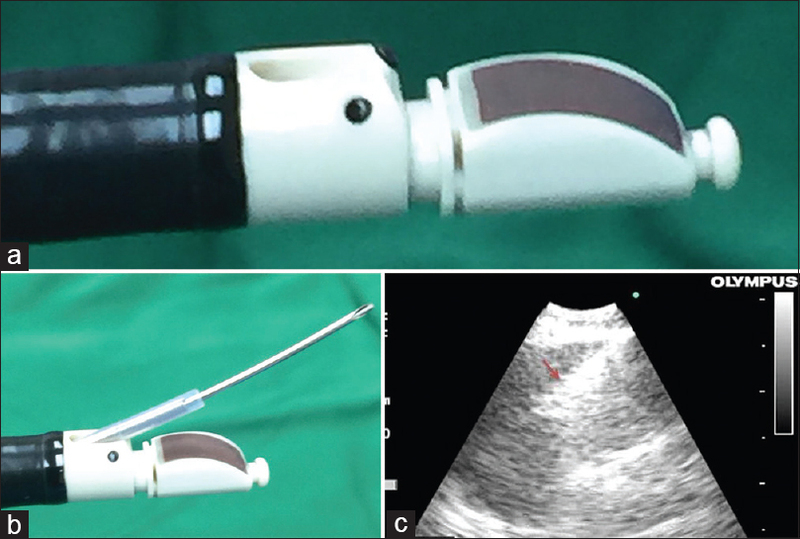 AIMS: The aim of the study was to evaluate the clinical utility and safety of endobronchial ultrasound-guided transbronchial needle aspiration (EBUS-TBNA) in patients with mediastinal and hilar lymphadenopathy and to explicitly describe the utility of this procedure in patient's outcome. 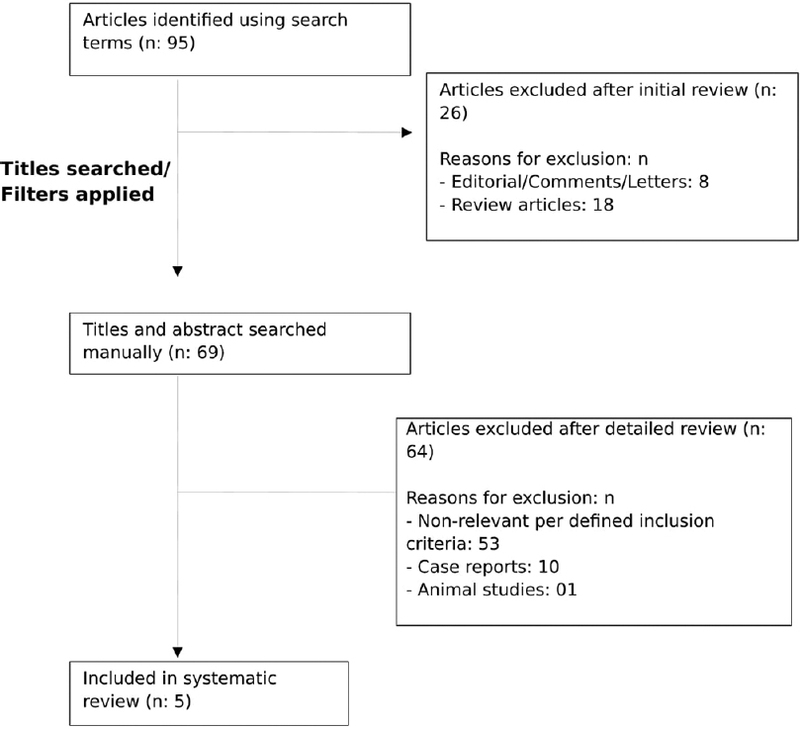 METHODS: A retrospective review and analysis was conducted on 52 patients with mediastinal or hilar lymphadenopathy who underwent EBUS-TBNA from June 2012 to June 2016. All the patients were evaluated by computed tomography (CT) chest with contrast before EBUS examination. Enlarged mediastinal or hilar lymph node was defined as >1 cm short axis on the enhanced CT. RESULTS: Among the 52 patients studied, 57.7% were presented with mediastinal or hilar lymphadenopathy for diagnosis and 42.3% presented with suspected mediastinal malignancy. Paratracheal stations were the most common site for puncture in 33 lymph nodes (43%). The best diagnostic yield was obtained from subcarinal stations and the lowest yield from the hilar stations. Surgical biopsies confirmed lymphoma in six patients, tuberculosis (TB) in three, sarcoidosis in two and one had metastatic adenocarcinoma of unknown primary. The sensitivity, specificity, positive predictive value, and negative predictive value of EBUS-TBNA for diagnosis of mediastinal and hilar lymph node abnormalities were 78.6%, 100%, 100%, and 80%, respectively. The diagnostic yield of EBUS-TBNA in malignant and benign conditions was 79.0%. CONCLUSIONS: EBUS-TBNA is a safe and efficacious procedure which can be performed using conscious sedation with high yields. It can be used for the staging of malignancies as well as for the diagnosis of inflammatory and infectious conditions such as sarcoidosis and TB. INTRODUCTION: Radical surgical treatment is the preferred action for patients with early-stage non-small cell lung cancer (NSCLC). Qualification for surgical treatment should consider a risk associated with the effect of comorbidities on the general condition of the patient. The aim of this article was an attempt to identify the risk factors for postoperative complications in patients treated for NSCLC, with a special focus on the coexisting diseases. 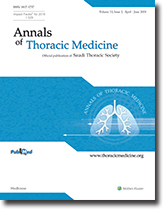 METHODS: A total of 400 patients with NSCLC were included in this retrospective study. The incidence of postoperative complications (including major complications according to the European Society of Thoracic Surgeons [ESTS]) was analyzed. Factors associated with high risk of postoperative complications were identified. 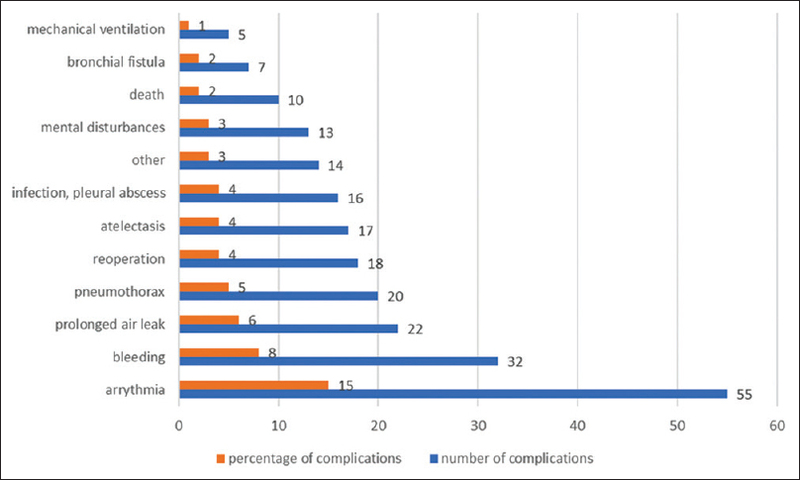 RESULTS: Postoperative complications occurred in 151 patients (39% operated patients), including severe complications according to ESTS in 75 patients (19%). From univariate analysis, risk factors for postoperative complications were arrhythmias, pneumonectomy, and open thoracotomy. According to ESTS, for major complications, the risk factors included age ≥65 years, the presence of comorbidities, hypertension, and arrhythmias. From multivariate analysis, the risk of complications was higher in patients undergoing pneumonectomy and with cardiac arrhythmias, whereas the risk of serious complications according to ESTS was found in people ≥65 years of age and suffering from comorbidities. CONCLUSIONS: The risk of postoperative complications is affected by both surgical factors and the general health of the patient. Elderly patients with chronic disease history, hypertension, and arrhythmias have an increased risk of postoperative complications. Knowledge of these factors will identify a group of patients requiring internal consultation and optimization of preoperative treatment and postoperative follow-up. BACKGROUND: Inferior vena cava (IVC) filter is indicated in patients with acute venous thromboembolism (VTE) in whom therapeutic anticoagulation is contraindicated. While prophylactic insertion of an IVC filter may be considered for patients at high risk of VTE, there are significant differences between clinical guidelines on the role of IVC filters. These discrepancies have arisen predominantly because of the paucity of data on the efficacy and safety of IVC filters. We, therefore, evaluated the indications for filter insertion, the rate of filter retrieval and complications in patients who received IVC filters at King Abdulaziz Medical City (KAMC), Riyadh, Saudi Arabia. METHODS: A descriptive, retrospective review of electronic- and paper-based medical records was performed. 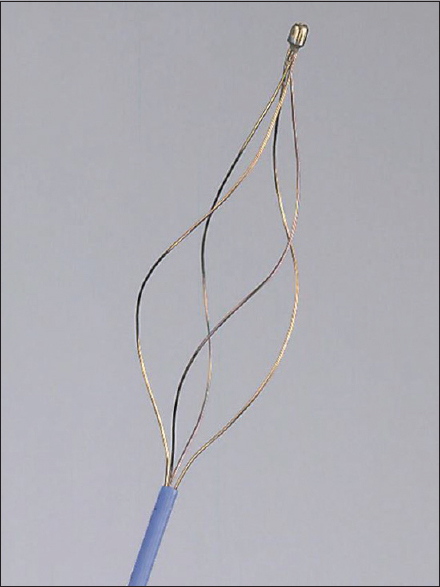 Consecutive sampling was used to study all adult patients who received an IVC filter at KAMC between 2007 and 2016 and met the inclusion criteria. RESULTS: A total of 382 IVC filters were inserted. 113 patients (30%) had an acute VTE and a contraindication to anticoagulation while 53 patients (14%) received an IVC filter in the absence of VTE (i.e., prophylactic). Only 124 (32.5%) IVC filters were eventually retrieved. The most common reason for nonretrieval was the need for permanent filtration (155, 60%). Thrombotic complications developed in 72 (19%) patients; nine patients had fatal pulmonary embolism. CONCLUSION: The insertion of IVC filters in this cohort was associated with low retrieval rate and relatively high incidence of thrombotic complications. Follow-up of patients is required to detect IVC filter-related complications and to increase retrieval rate. 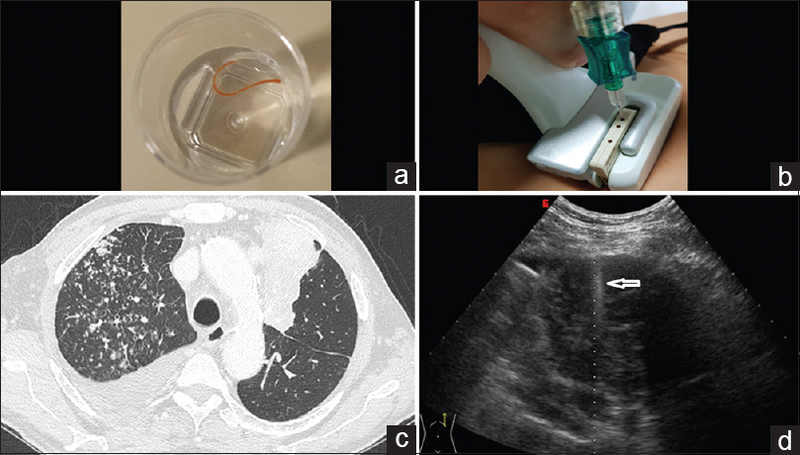 Trans-esophageal endoscopic ultrasound with fine-needle aspiration (EUS-FNA) is widely used to assess mediastinal masses. Common complications are self-limiting bleeding or pain, but occasionally, more serious accidents have been reported. A 54-year-old woman with a huge mass located in the left middle mediastinum presented 2 days after an EUS-FNA with dyspnea and chest pain. 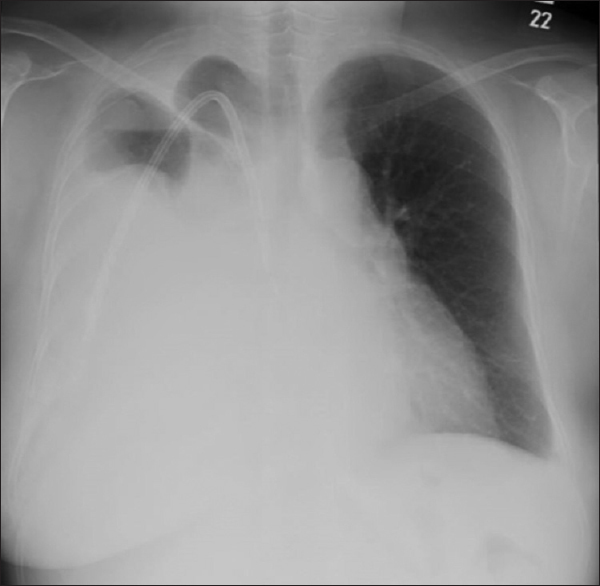 Computed tomography scan showed a massive left pleural effusion. A chest tube was inserted revealing a chylothorax (1800 ml). Over the following days, the pleural effusion did not diminish, requiring a left mini-thoracotomy. 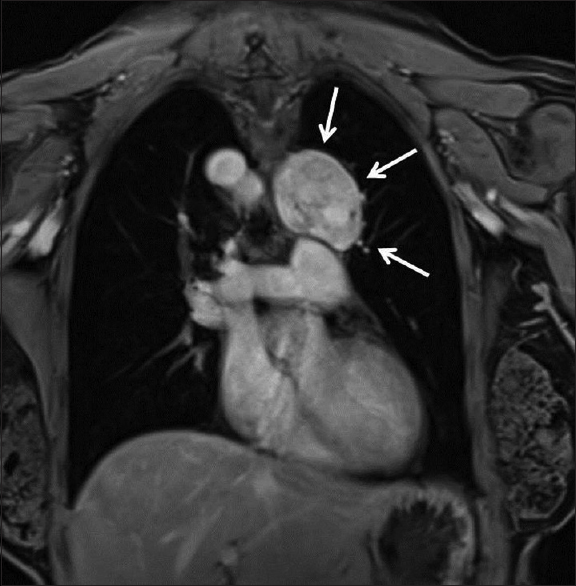 Intraoperative findings showed a pedunculated mass arising from the upper lobe. A wedge resection and a ligation of a large lymphatic vessel were performed. Postoperative course was regular. Histology showed a solitary fibrous tumor of the pleura. To our knowledge, the case we describe is the first reported chylothorax after EUS-FNA. Despite the demonstrated safety, particular care is mandatory in case of large, vascular, and heterogeneous masses. Hepatic hydrothorax (HH) is a transudative pleural effusion that complicates advanced liver cirrhosis. Cases refractory to medical treatment in the form of salt restriction and diuretics are labeled refractory hepatic hydrothorax (RHH) and may require transjugular intrahepatic portosystemic shunts (TIPSS) or even liver transplantation. Renal impairment is common in advanced liver disease, worsens its prognosis, and makes the management of HH more challenging. Successful antiviral therapy reduces some of the complications of cirrhosis secondary to hepatitis C virus (HCV) infection. We herein report two cirrhotic patients with chronic kidney disease who developed RHH which resolved after the successful treatment of their HCV infection with direct-acting antivirals (DAAs). In cases of RHH associated with HCV cirrhosis, a trial of DAAs is warranted before resorting to TIPSs or liver transplantation.